'04 Cumberland in my Sav 1/2 bent "David's Choice". what more can i ask for ??? 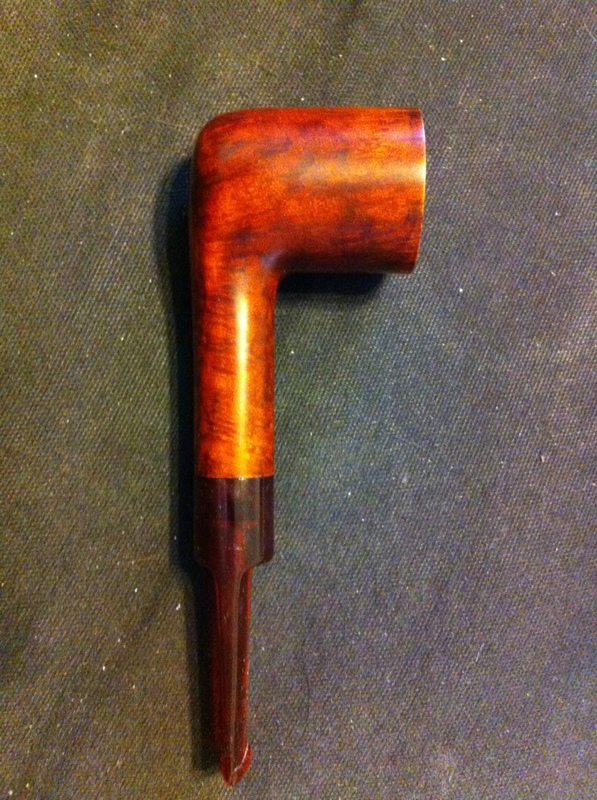 Edgeworth Ready Rubbed Match in a 1979 straight smooth Dr. Grabow Grand Duke 45 pot. PS LTF in my Brurobas billiard. Just finished smoking MacBaren Virginia #1 in a late '90s half smooth/half etched freehand sitter, medium bend Nielsen Viggo. What a great pipe Quang! Just finished MacBaren Roll Cake in a 1979 black sandblasted medium bend Savinelli Non Pareil 9606 Billiard with a horn ferrule. 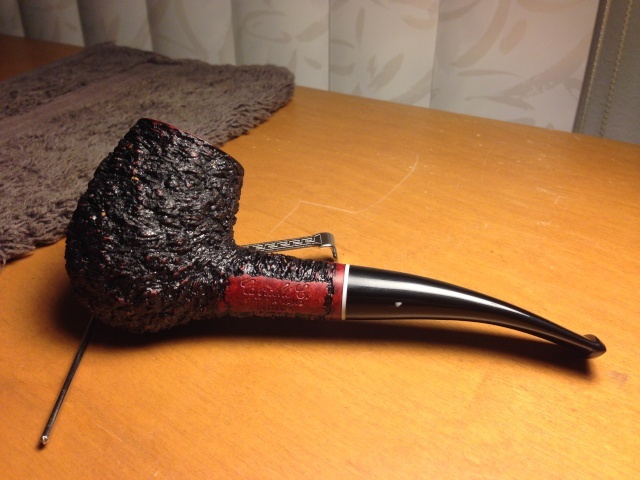 Louisiana Red in a 1999 medium bend black sandblast Savinelli Tris 677KS apple with a cumberland stem. Had phone, internet and cable trouble, but everything's working again. Earlier, I smoked Top Shelf, and MacBaren Navy Flake, and am near the end of this bowl of Angler's Dream in a slight bend 1984 Stanwell Antique 124 grain etched with a smooth front. 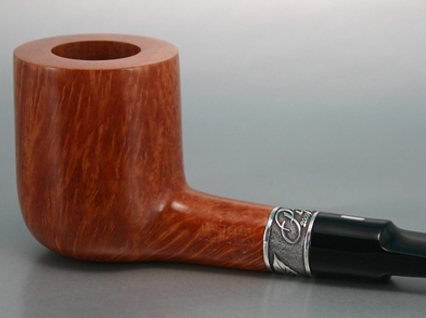 MacBaren Dark Twist in a medium bend straight grain 2000 Winslow C silver spigot. St. George's Blend in a straight 1979 MM Legend. On my third bowl of the day ( no way to keep up with Jim ) Changing over from my usual RY to a nice VaPer, some Comoy's Cask #4, bulk, rubbed out, in a Charatan Relief Grain Freehand Dublin in a tanshell finish. Brigadier Black Alamo in a Paronelli bulldog. '04 Cumberland in a Tinsky '11 Xmas blast 'doggy.